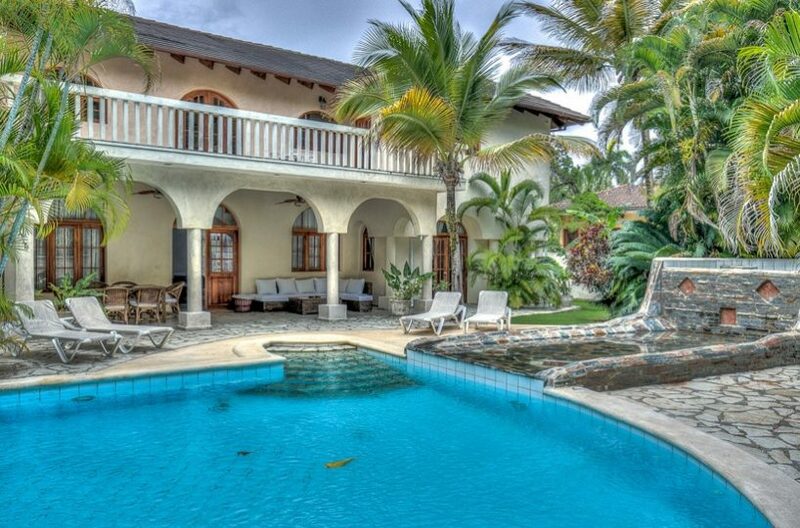 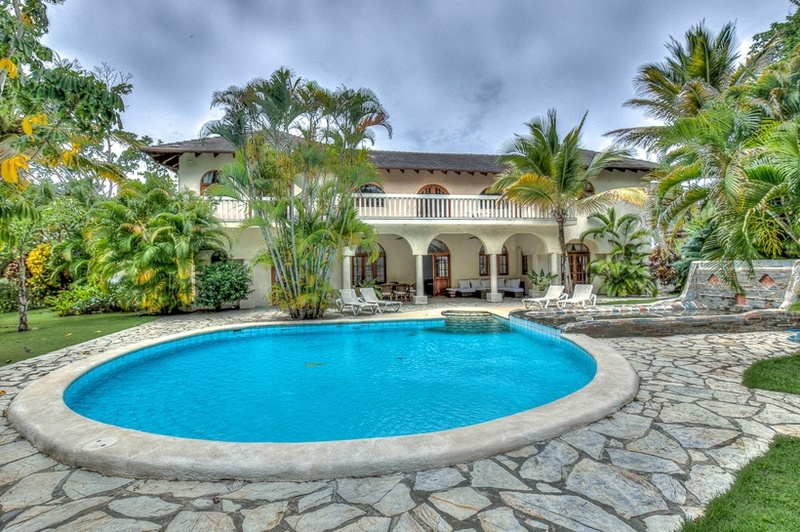 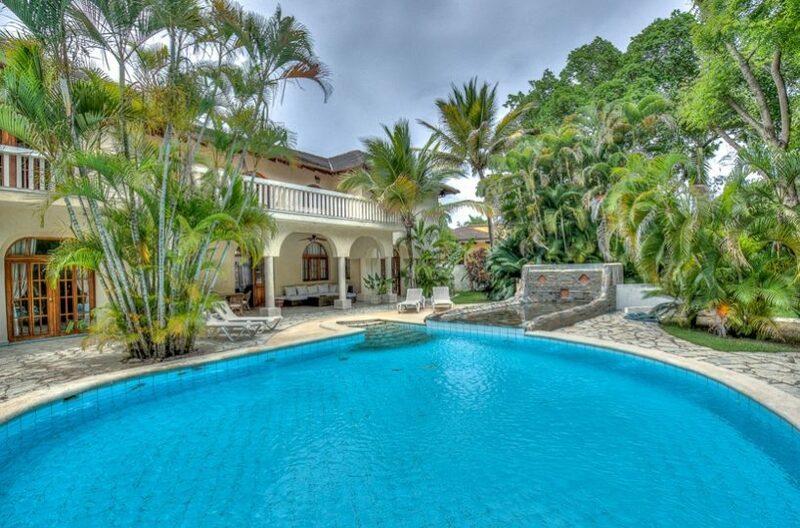 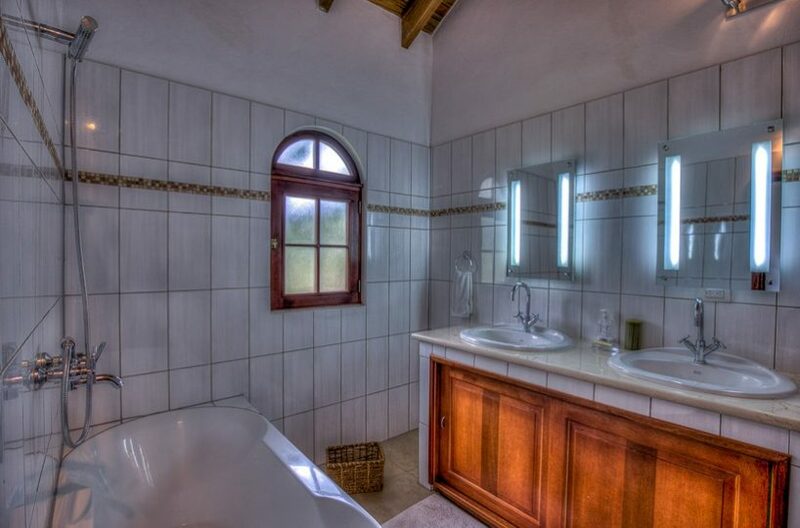 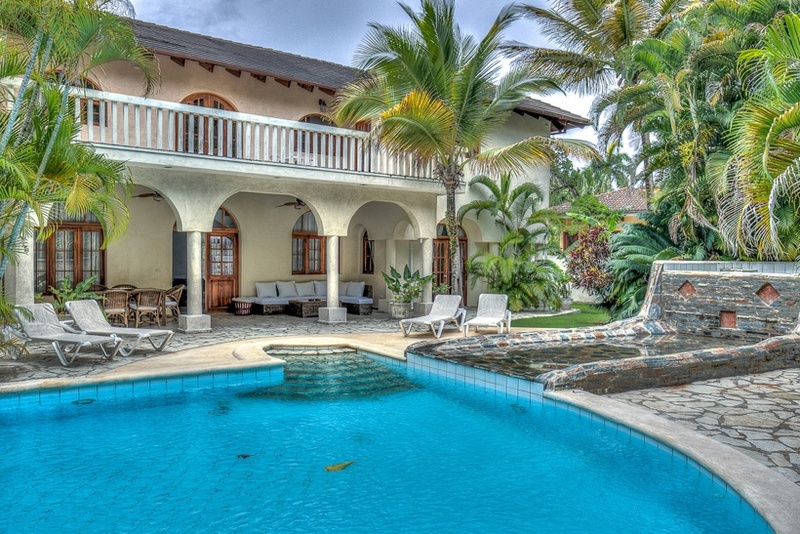 This Dominican Republic home rental opportunity consists of a luxurious two story, five bedroom villa with a private pool and tropical garden. 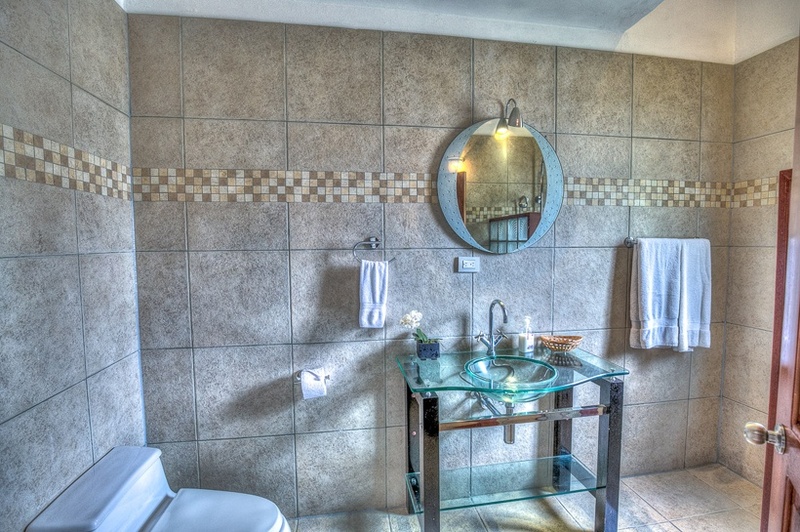 Guests of Sea Horse Ranch have full access to all of the resort amenities, such as the Equestrian Center, Tennis Club, seaside swimming pools and The Beach Club restaurant. The main villa entrance opens onto an expansive lounge with a vaulted natural timber ceiling, marble flooring and an open staircase that sweeps up to a suspended gallery wrapping around three sides of the room. 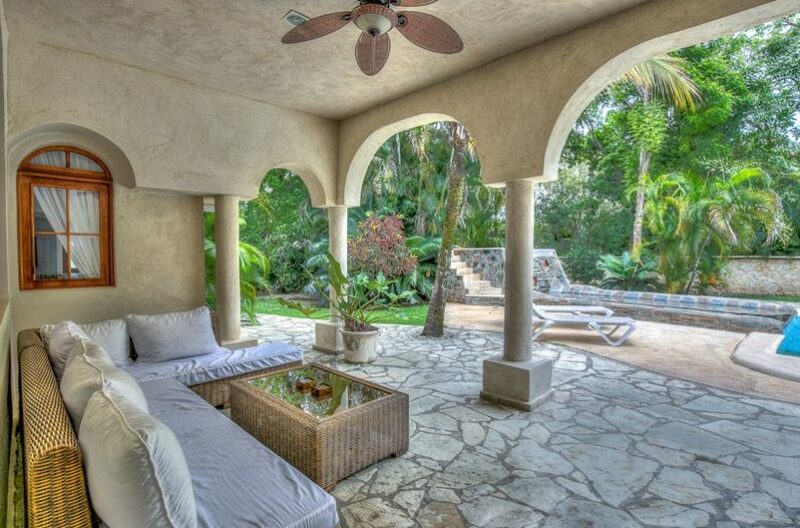 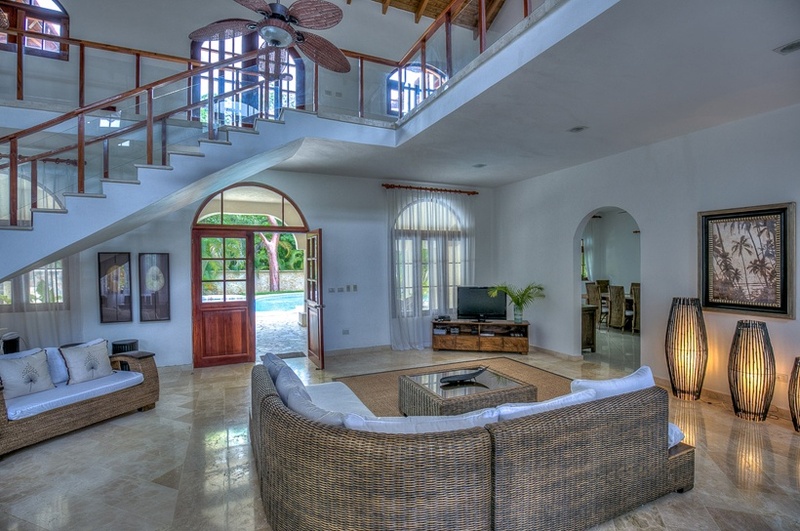 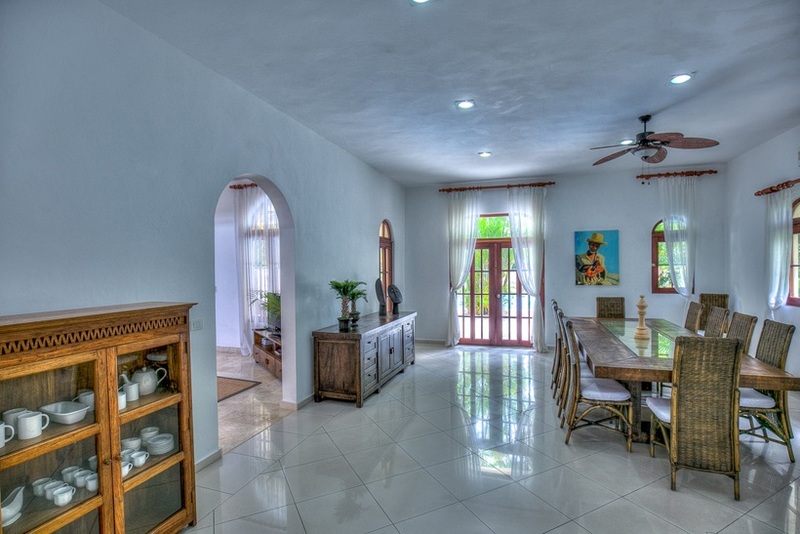 The lounge connects through twin hardwood doors to a large covered patio, swimming pool, and waterfall, one of the most distinctive features of this Dominican Republic home rental. 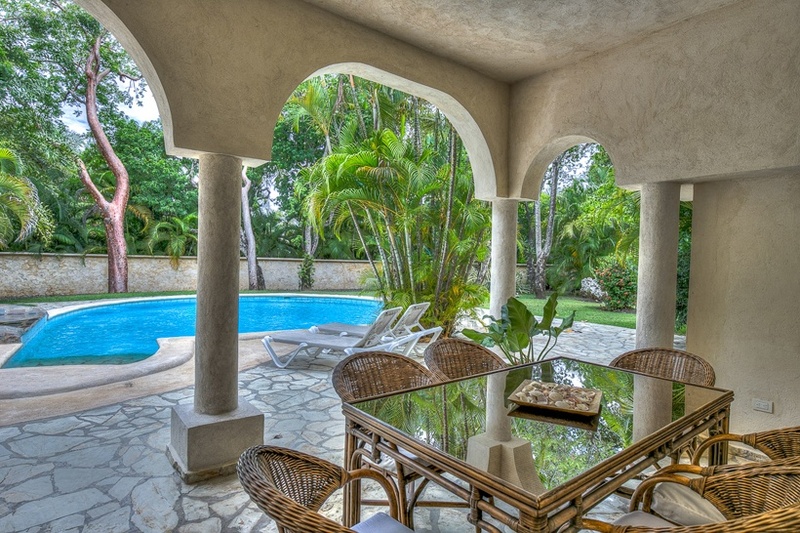 A large separate dining room connects to the lounge with doors that open onto the patio and pool. 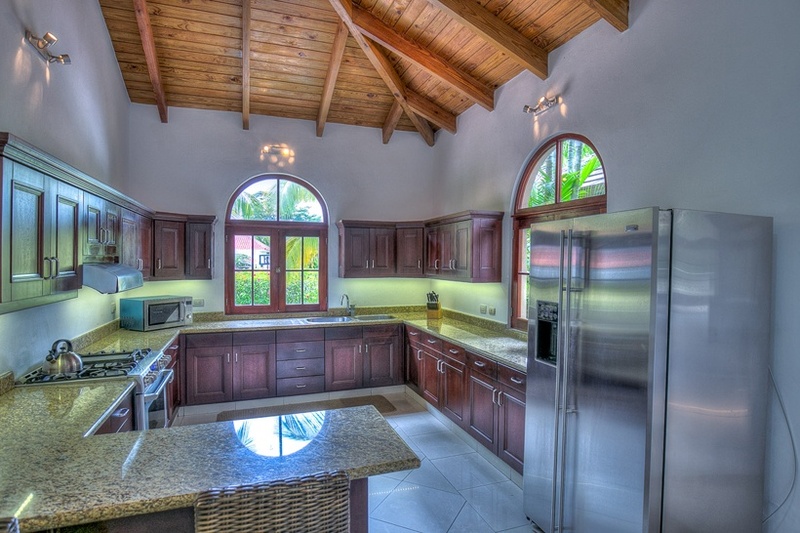 Both the dining area and lounge have direct access to a large well-appointed custom kitchen. 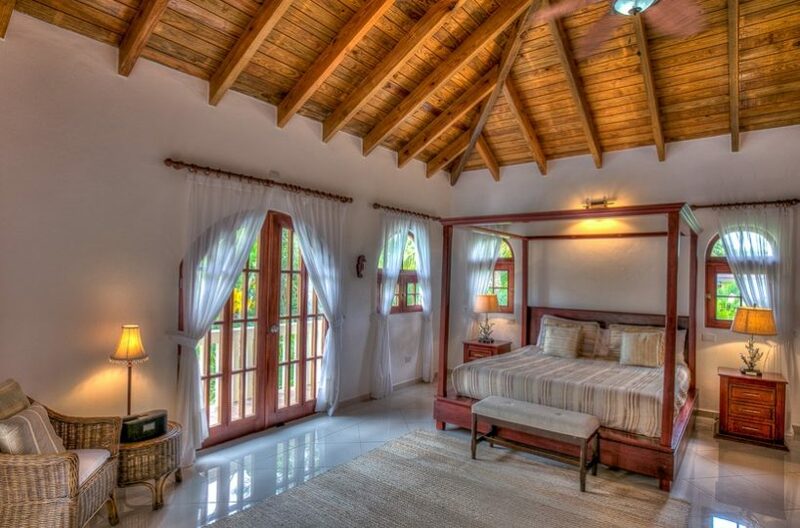 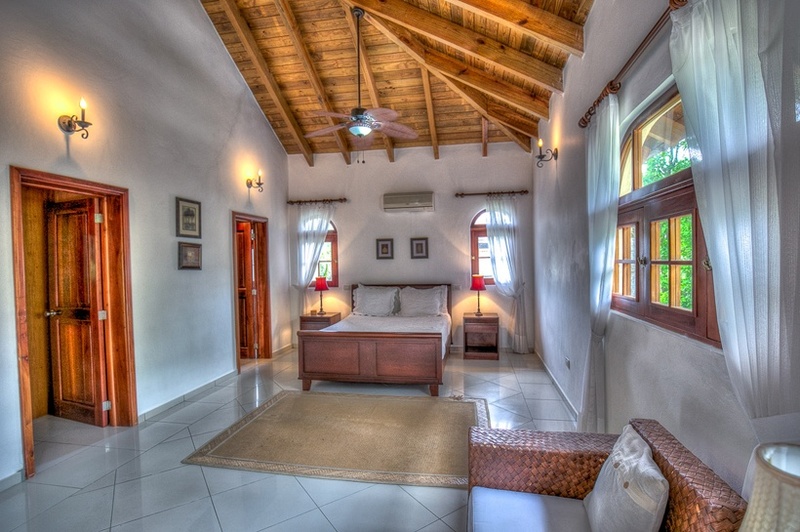 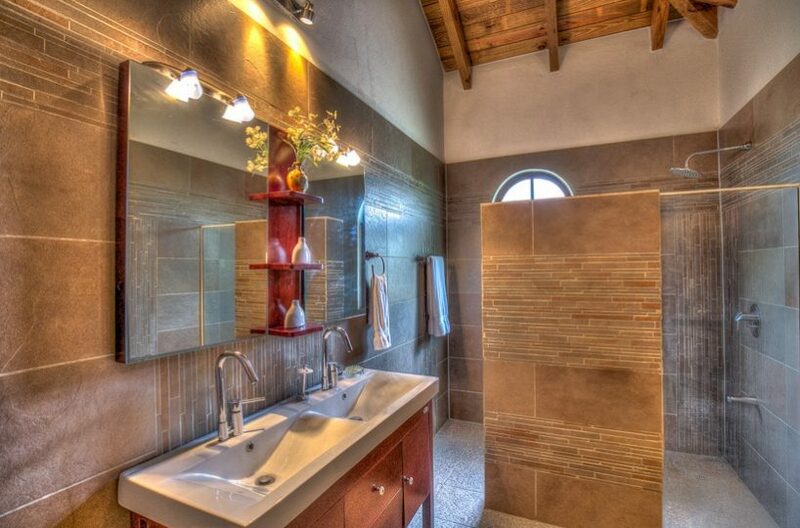 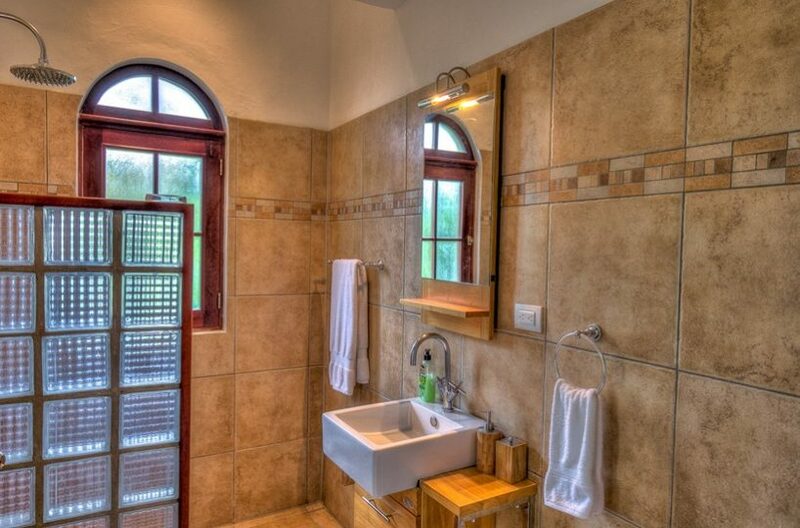 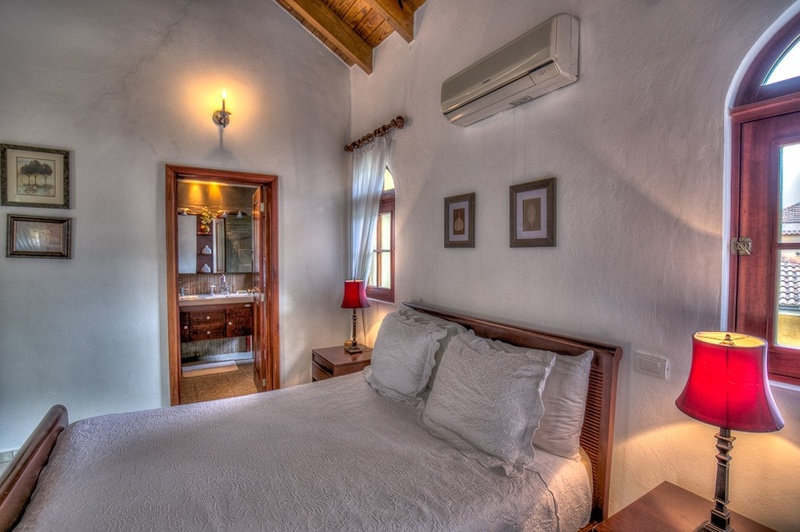 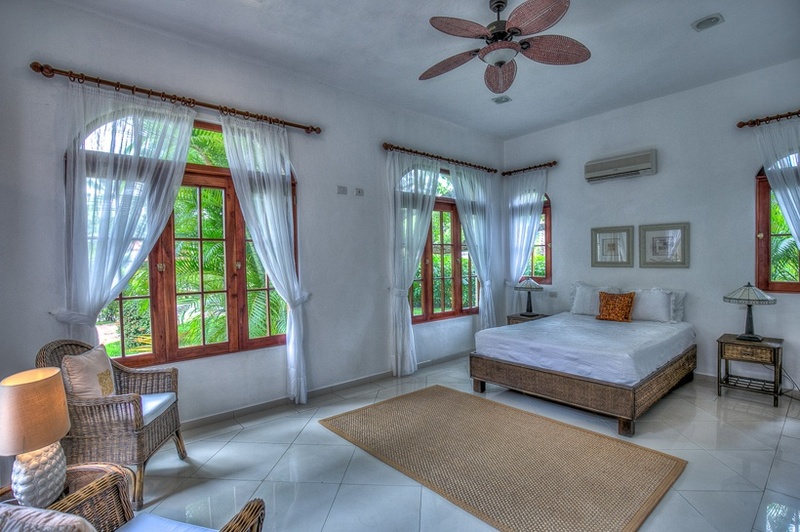 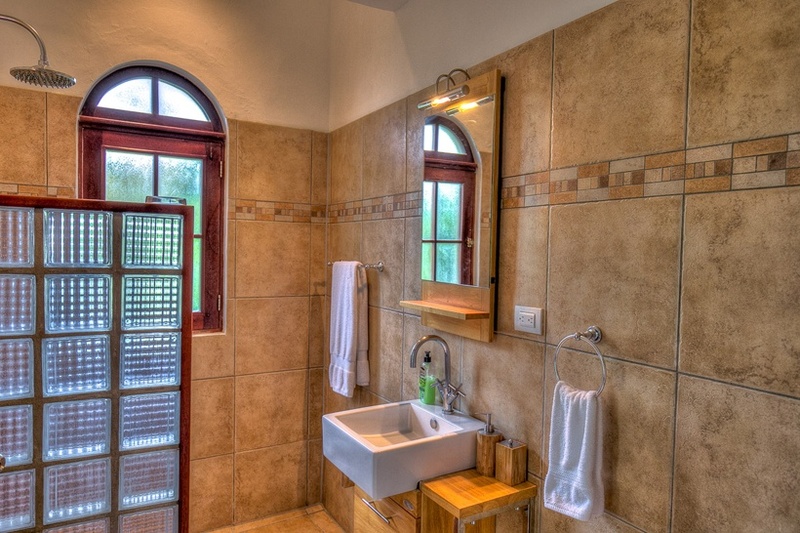 Adjacent to the lounge are two air conditioned bedrooms each with large walk-in closets and furnished bathrooms. The rear facing bedroom connects to the patio and pool. 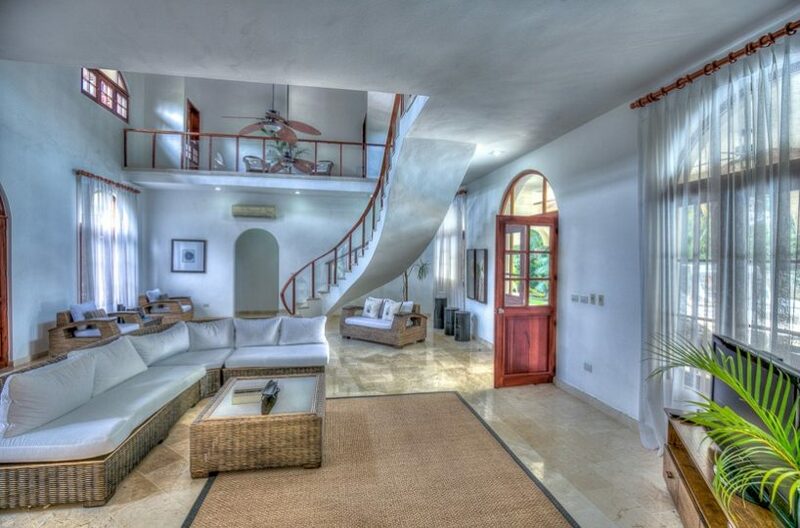 Either of these rooms would be ideal as an office or work room. 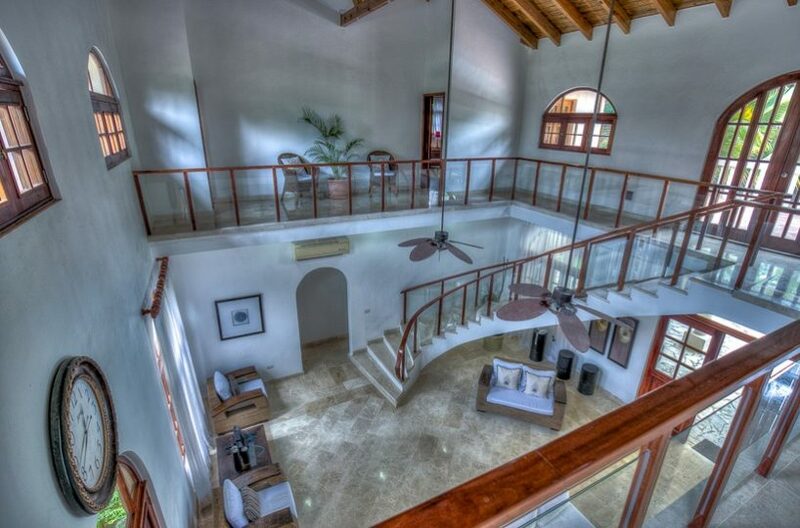 On the upper floor, the suspended balcony hosts seating area complete with discreet bar and flat screen TV. 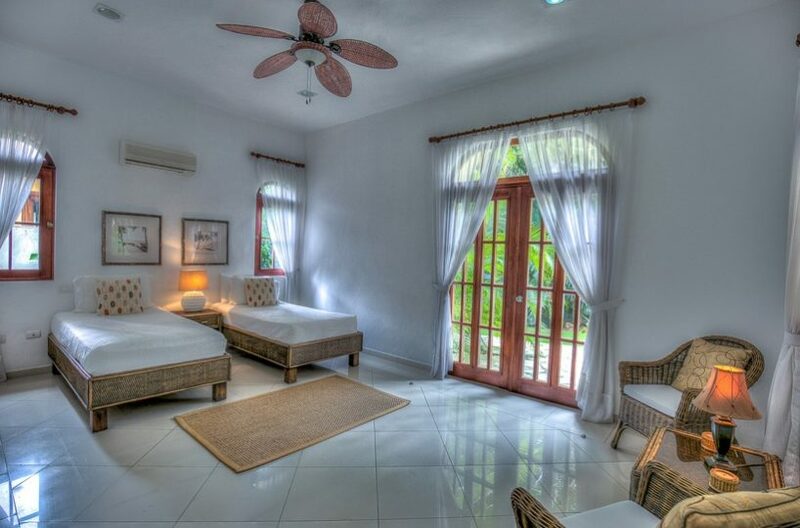 The large Master Bedroom connects to a balcony overlooking the pool and garden and has walk-in closets, dressing area, furnished bathroom and a jacuzzi. 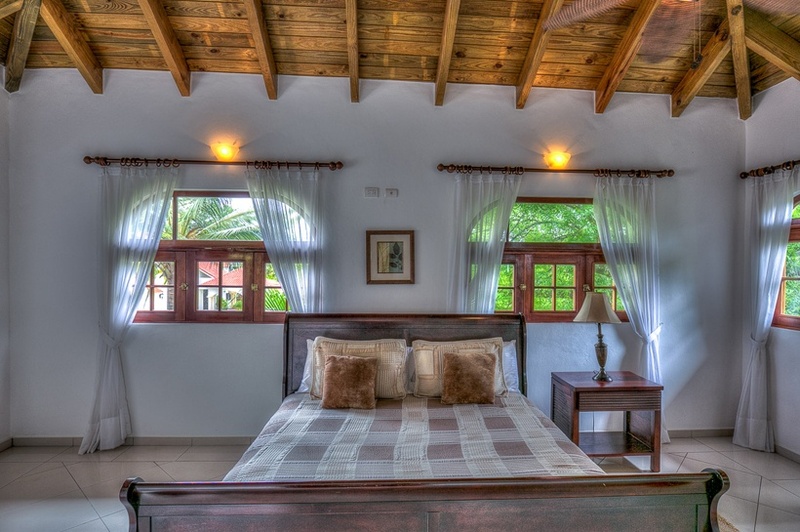 Two further en-suite double bedrooms, one with doors to the balcony and each with full walk-in hardwood closets complete the upper floor habitation. 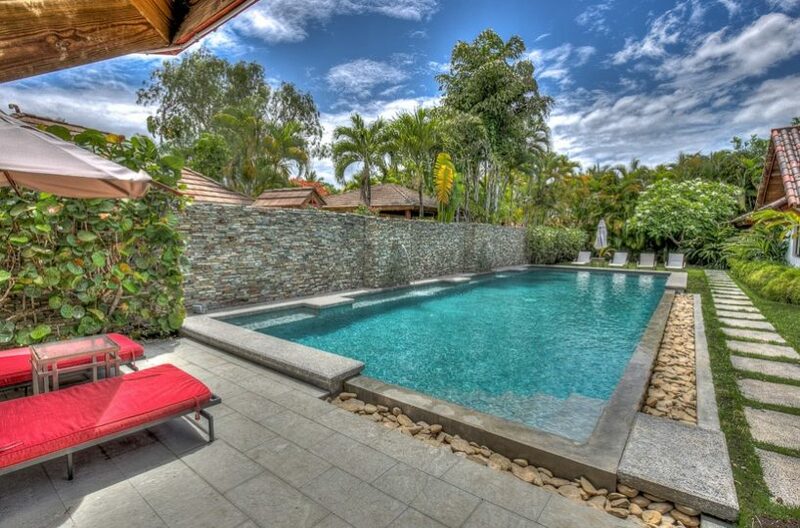 A tropical garden surrounds the pool which features an elevated outdoor Jacuzzi and waterfall. 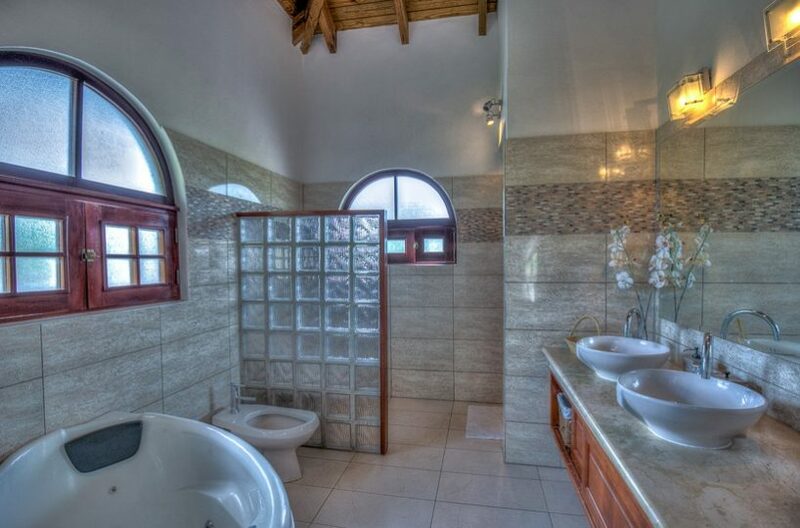 The underground housing for the pool equipment has the added, unique distinction of a wine cellar.